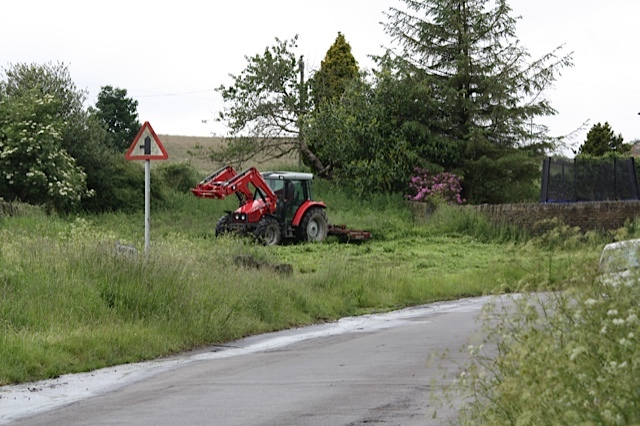 We involved the local community in a “Spring Cleaning the Big Grass Verge Day” which was one of our list of Aims and now have a local farmer willing to mow the entire verge twice a year for us. 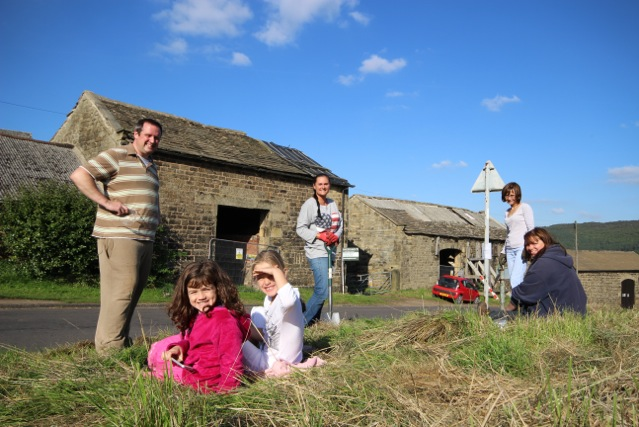 16 people helped clear the verge, totaling over 52 hours in volunteer time and £46 was raised by holding a raffle. Special Thanks to our Advisors: Tim Shortland, Community Forestry Officer, Sheffield City Council; Chris Prescott, Community Advisor; “Ziggy” Michael Senkans, Ecologist with Sheffield City Council; Stan Jones, Architectural Historian; Dave Buckle, Mycologist. My name is Dhira and I am the founder and driving force behind the Brightholmlee Boundary Tree Planting and Orchard Restoration Projects. Whilst the locals know me as Anthea Helliwell, I prefer to go by my meditation name of Dhira which means Wisdom and Self Knowledge. 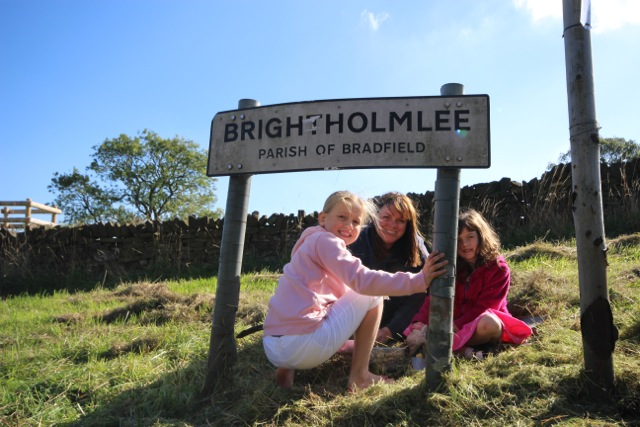 One of my greatest passions is the tiny hamlet of Brightholmlee, I was blessed to grow up here and have lived in 4 of it’s 7 homesteads! I deeply deeply love every aspect of the hamlet and it’s been the subject of all of my student and post graduate studies. I love the vernacular architecture, landscape, wildlife and people. I have drawn, painted, photographed, researched, measured, surveyed and recorded every part of it. I am not interested in local history, architecture or genealogy but I am interested in how Brightholmlee has come to be as it is. Who built the houses, the dry stone walls, who walked the footpaths, who planted the trees and how the landscape has changed over the last thousand years. With the uncertainty of climate change, habitat loss and over exploitation of the Earth’s resources, I hope, through this project, to make a positive difference at least in this little part of the world. I want to create a wild life oasis here in the Hamlet and record the changes as it moves from a sleepy rundown 20th Century farming hamlet into a 21st Century rural retreat with renovated houses and converted barns within the Sheffield commuter belt. The hamlet and its landscape have been a very important source for my spiritual journey towards peace and contentment. Evolving from simply observing the seasons and the magical coincidences of birds and animals crossing my path; to deeply appreciating the underlying natural force that creates our delicate eco system; to stretching out my arms and feeling connected with everything around me and to finally discovering Ascension and the teaching of Oneness. Now from a deep inner experience of stillness and silence I live with a greater conscious awareness of everything around me. I am interested in the interconnectedness of everything, we are not separate from the natural world, we are an intricate and integral part of it. Everything in our world is sacred, whether it be a tiny buttercup, a bumble bee, an acorn, a foggy rainy day, a bright circle of yellow lichen on a dry stone wall, a squirrel hanging upside down from a bird feeder, a hedgerow in full flower or a shooting star in the western sky. My even greater passion, as a monk of the Bright Path Ishayas, is teaching Ascension, a simple yet profound inner peace meditation that has brought such contentment that I love to share it with anyone who is interested. It teaches how to effortlessly let go and experience our true nature of unconditional Love and Joy and to live in the present moment. To live and express this is now my delight, to bring love into every aspect of my life and in particular to the Tree and Orchard projects and to infuse happiness into the lives of all who are involved with it. To enable others to see beauty everywhere in their environment and community, to raise awareness of environmental issues and to be more conscious custodians of the buildings and landscape. The tree dedications are an amazing way to give people the opportunity to express love and appreciation, every new tree in the hamlet has been planted with love and whenever we see them we are inspired by and reminded of this highest and most expansive emotion. To be able to record the whole project in the special Book I’m making is a great privilege. The projects brings out the best in me and enables me to evolve and go beyond any limitations I once believed in, to be more then I ever thought I could be, achieve more then I ever thought was possible. Please come and join me and the rest of Friends of Brightholmlee Hamlet in giving something back to this beautiful planet we call home. Web site written and designed by Dhira Anthea Helliwell and set up by Per Erlandsson. 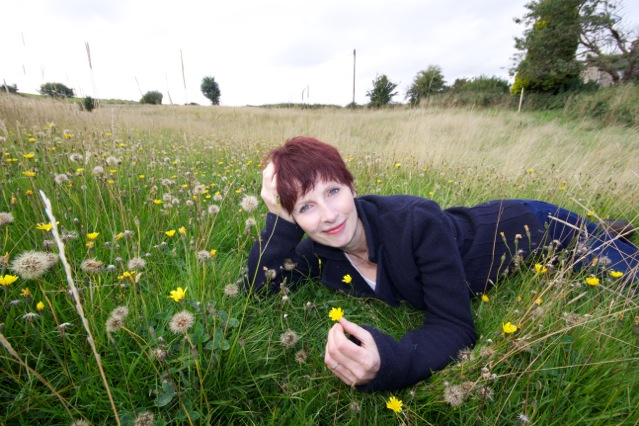 All photographs and plans are copyright Dhira Anthea Helliwell 2013/2014.